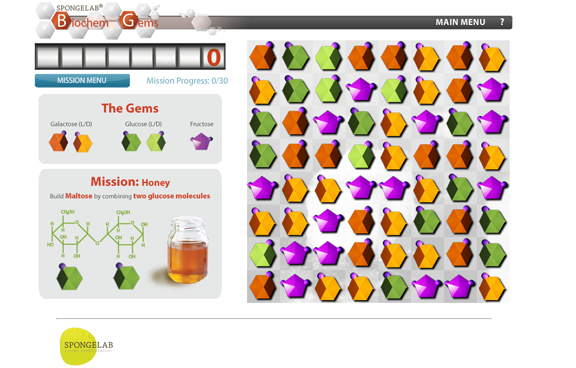 Biochem Gems is a deceptively simple-looking puzzle game that teaches players about the molecular building blocks of life. 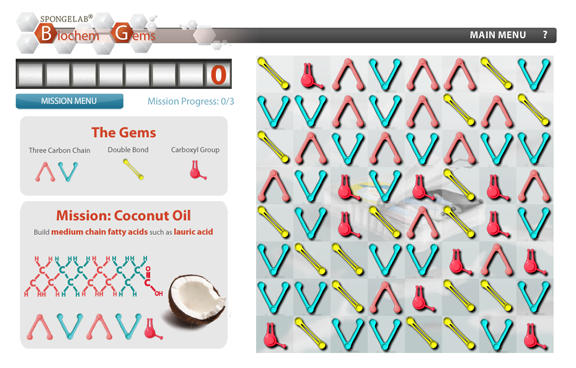 In this match-three gem-busting puzzler, players are asked to construct the biochemical compounds that compose everything from carbohydrates and fatty acids to nucleic and amino acids. 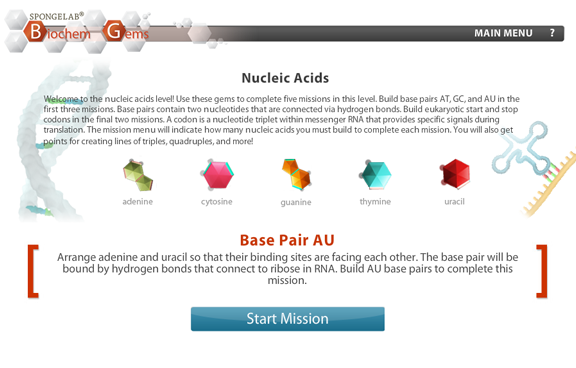 Biochem Gems challenges and reinforces players' scientific knowledge and makes the complicated topic of biochemistry fun and engaging to a wide range of players. Thought that biochemical structures were boring? Biochem Gems shows that learning complex science can be both visually interesting and entertaining. In Biochem Gems, players are tasked with assembling basic biochemical compounds from their constituent pieces. Using critical thinking skills, they will learn how to construct 17 different biochemical compounds - from disaccharides to DNA base pairs, and everything in between. 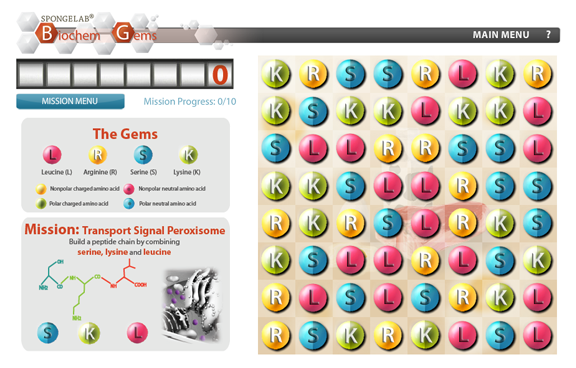 The game provides positive feedback with the completion of each compound, and only allows players to proceed if they successfully build target molecules. As a fun bonus and puzzle mechanic, players may also connect three identical pieces for additional points. 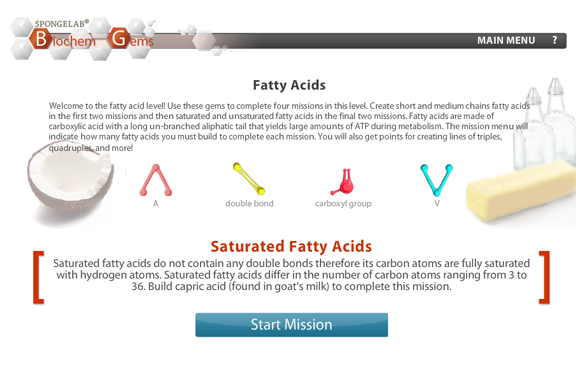 There are four main stages to the game (carbohydrates, fatty acids, nucleic acids and amino acids), each containing 3 - 5 levels. After completing these levels, players are granted access to a "Freeplay" mode, where they are free to work towards a leaderboard-topping high score. Biochem Gems is intended as a learning tool for science students in grades 8 - 12. It is fully accessible online, through a web browser, with no downloads or installation necessary.